Wash the turkey legs, and shake off excess moisture. Sprinkle each turkey leg with about 1/2 teaspoon of poultry seasoning, salt, and black pepper to taste. Wrap the leg tightly in aluminum foil. Repeat with remaining legs. 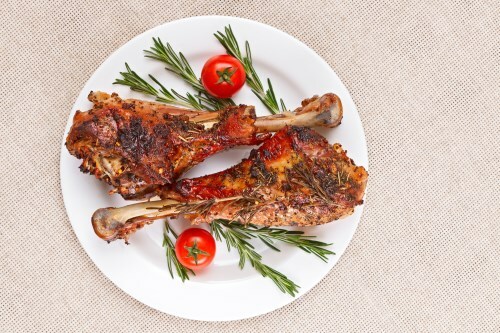 Place the wrapped turkey legs into a slow cooker with no liquids or other ingredients. Set the cooker to Low, and cook until the meat is very tender, 7 to 8 hours.